This medication is used to prevent people who have been addicted to certain drugs (opiates) from taking them again. It is used as part of a complete treatment program for drug abuse (e.g., compliance monitoring, counseling, behavioral contract, lifestyle changes). This medication must not be used in people currently taking opiates, including methadone. Doing so can cause sudden withdrawal symptoms. Naltrexone belongs to a class of drugs known as opiate antagonists. It works in the brain to prevent opiate effects (e.g., feelings of well-being, pain relief). It also decreases the desire to take opiates. This medication is also used to treat alcohol abuse. It can help people drink less alcohol or stop drinking altogether. It also decreases the desire to drink alcohol when used with a treatment program that includes counseling, support, and lifestyle changes. Take this medication by mouth with or without food, usually 50 milligrams once daily or as directed by your doctor. This medication may be given as part of a program where a health care professional will watch you take the medication. In this case, your doctor may order a higher dose (100-150 milligrams) to be taken every 2-3 days to make it easier to schedule clinic visits. Naltrexone may be taken with food or antacids if stomach upset occurs. A urine test should be done to check for recent opiate drug use. Your doctor may give you another medication (naloxone challenge test) to check for opiate use. Do not use any opiates for at least 7 days before starting naltrexone. You may need to stop certain opiate drugs (such as methadone) 10 to 14 days before starting naltrexone. Dosage is based on your medical condition and response to treatment. Your doctor may start you at a lower dose and monitor you for any side effects or withdrawal symptoms before increasing your dose. Take this medication as directed. Do not increase your dose, take it more often, or stop taking it without your doctor's approval. What conditions does Naltrexone HCL treat? Nausea, headache, dizziness, anxiety, tiredness, and trouble sleeping may occur. In a small number of people, mild opiate withdrawal symptoms may occur, including abdominal cramps, restlessness, bone/joint pain, muscle aches, and runny nose. If any of these effects persist or worsen, tell your doctor or pharmacist promptly. Sudden opiate withdrawal symptoms can occur within minutes after taking naltrexone. Tell your doctor right away if any of these withdrawal symptoms occur: abdominal cramps, nausea/vomiting, diarrhea, joint/bone/muscle aches, mental/mood changes (e.g., anxiety, confusion, extreme sleepiness, visual hallucinations), runny nose. Naltrexone has rarely caused serious liver disease. The risk is increased when larger doses are used. Discuss the risks and benefits with your doctor. Stop using this medication and tell your doctor right away if you develop symptoms of liver disease, including: persistent nausea/vomiting, severe stomach/abdominal pain, dark urine, yellowing eyes/skin. List Naltrexone HCL side effects by likelihood and severity. Before taking naltrexone, tell your doctor or pharmacist if you are allergic to it; or if you have any other allergies. This product may contain inactive ingredients, which can cause allergic reactions or other problems. Talk to your pharmacist for more details. Before using this medication, tell your doctor or pharmacist your medical history, especially of: current or recent use (in the last 7 to 14 days) of any type of opioid drug (such as morphine, methadone, buprenorphine), kidney disease, liver disease. You should carry or wear medical identification stating that you are taking this drug so that appropriate treatment can be given in a medical emergency. After stopping naltrexone treatment, you may be more sensitive to lower doses of opioids, increasing your risk of possibly life-threatening side effects from the narcotic (e.g., decreased breathing, loss of consciousness). Before having surgery or any medical treatment, tell your doctor or dentist that you are taking this medication. Some products that may interact with this drug include: cough medication (e.g., dextromethorphan), disulfiram, diarrhea medication (e.g., diphenoxylate), narcotic medication (e.g., codeine, hydrocodone, propoxyphene), thioridazine. Does Naltrexone HCL interact with other medications? 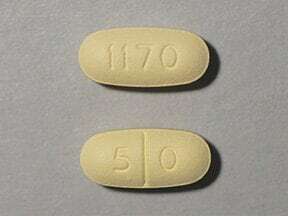 This medicine is a yellow, oblong, scored, film-coated, tablet imprinted with "1170" and "5 0". 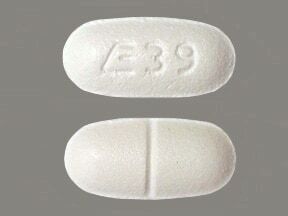 This medicine is a white, oblong, scored, tablet imprinted with "E 39". 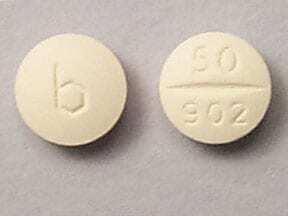 This medicine is a beige, round, scored, film-coated, tablet imprinted with "b" and "50 902". 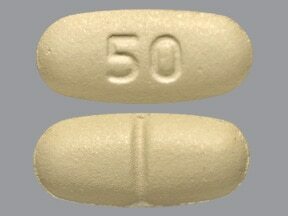 This medicine is a yellow, oval, scored, film-coated, tablet imprinted with "50". 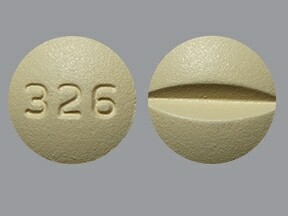 This medicine is a yellow, round, scored, film-coated, tablet imprinted with "326". 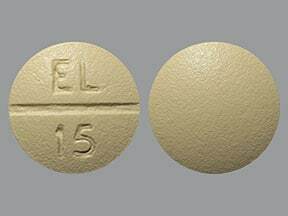 This medicine is a yellow, round, scored, film-coated, tablet imprinted with "EL 15". Are you taking Naltrexone HCL? Are you considering switching to Naltrexone HCL? How long have you been taking Naltrexone HCL?